Engine 2 Immersions: Enrich, enjoy, and get your discount here! 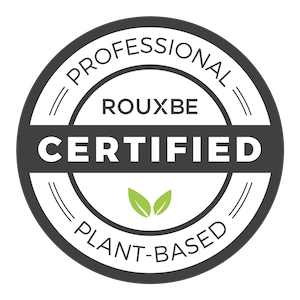 Whether you’ve been eating a plant-based diet for years or you’re just plant curious, an Engine 2 Immersion could be just the place for you! I just returned from a magical weekend at The Esselstyn family farm in the Hudson Valley in NY at a 2Forks Event produced by Engine 2 and Forks over Knives. 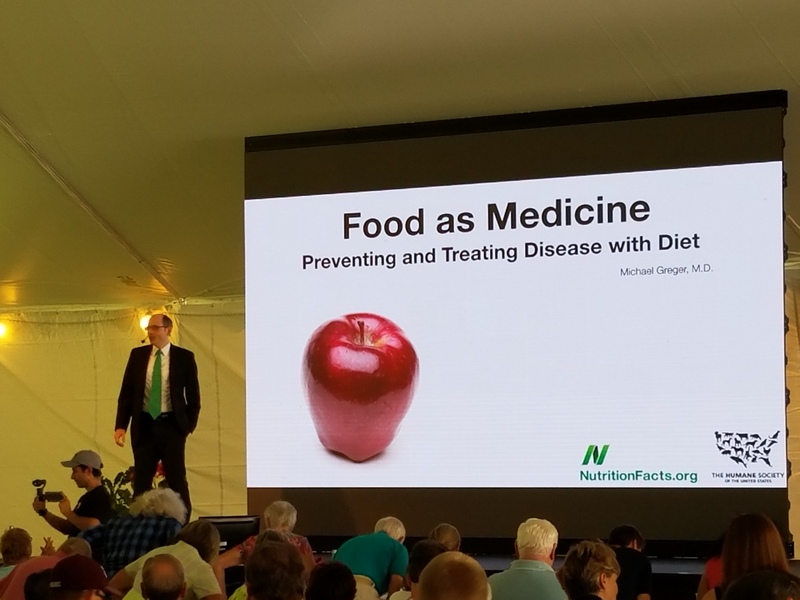 We heard incredible speakers with invaluable information about the why and how plant-based eating prevents and reverses disease. We heard inspiring stories of recovery and self discovery from illness and addiction and met athletes who have achieved incredible goals, all with the power of plants. If hearing from and rubbing elbows with the plant-based experts and celebrities isn’t enough to entice you, think for a moment about the delicious plant-based food you will enjoy without having to ask what’s in it or if they can make you a special dish without oil. For most of us, just knowing all the right information isn’t enough. A 2Forks Immersion will also give you the practical tools you need to continue your plant-based adventure after you leave. With cooking demonstrations and talks that will give you insight into why it’s so hard to do the right thing for your health since the wrong thing feels so right, you will head for home empowered to make good choices and take your health into your own hands, or should I say your own fork! Perhaps best of all, you will spend time making new friends and maybe even catching up with other plant-based friends you have met on social media. I find it fascinating to meet the real people behind the online personas and meet people from all around the country and the world. The experts will graciously sign your books, answer your questions, and sometimes even sit with you to listen to the other speakers. You will leave tired but inspired, educated, and nourished. You still have two weekend opportunities for fun with Engine 2 and Forks over Knives this year and one coming up next spring! March 24th –March 26th 2017. Not only will 2Forks provide incredible plant-based meals to fuel you, but you’ll also experience a full menu of activities: hands-on cooking demos, yoga, hiking on one of the country’s “Top 10 Most Scenic Trails,” a stargazing party, bonfires, live music, plus a few other surprises. Visit 2ForksEvents.com .com to Register Today! And remember to have fun with your food and enjoy! Categories: Education | Tags: #Engine2diet, #healthcare, #nutrition #dietandhealth #DrCampbell #plantbasedsupport, #nutritionandhealth, #plantbaseddiet, dietandhealth, DrCaldwellEsselstyn, eatmoreplants, FOK, Forks over Knives, health, plant based, plantbasedcommunity, plantbasednutrition, plantbasedsupport, plantstrong, whatveganseat | Permalink. I met Debbie in August of 2015 at a plant-based potluck I attend in Tunkhannock, PA. She had been invited by her friend and chiropractor, Virginia Fennelly, who was encouraging her to improve her diet and her lifestyle. Debbie had a long rap sheet of health problems and was making great strides to shorten that list. In 2014, Debbie saw her primary MD and discussed her concern about her family history of heart disease. She passed all of the screening tests, but her cholesterol was elevated at 200 and she had an uneasy feeling that something wasn’t quite right. When she saw the cardiologist, she was getting ready to leave when she mentioned that she had been getting short of breath climbing stairs. The cardiologist decided Debbie needed a cardiac catheterization and found a major blockage. He was able to perform a stent to relieve the blockage and restore blood flow. Like most, Debbie thought her heart problem was fixed but she was frustrated that she had to take 40 mg of a statin as her cholesterol was still elevated. Debbie had always steered clear of fast food and drive through windows, cooked her own food, and cultivated veggies in her garden. She had the tools she needed to make changes along with a strong desire to reverse her heart disease and lower her cholesterol. When Debbie told me she couldn’t understand why she couldn’t improve her numbers, the confidence of Dr. Esselstyn came over me and I urged Debbie to to go all in, to go 100% plant-based, as dramatic changes can lead to dramatic and wonderful health improvements. I explained that she might see small improvements making gradual changes, but that the best and most exciting things can happen when we make the biggest changes. I didn’t know Debbie and kept waiting for her to tell me to stop babbling, but she listened patiently while I asked her to look up Dr. Esselstyn on Youtube, grab a copy of his book, Prevent and Reverse Heart Disease, and if she could afford it, a copy of The Prevent and Reverse Heart Disease cookbook, and come back in a month and let me know how she was doing with plant-based living. Debbie took my scribbled notes, went home and went in 100%! She came back the next month to the plant-based pot luck and when I asked her how she was doing, she told me that she was following Dr. Esselstyn’s plan and she had already lost 20 lbs and felt great! At her primary MD appointment 3 months into her lifestyle change, she told the doctor she had lost 50 lbs and she looked at her skeptically and told her to get on the scale. She was blown away by Debbie’s results. It has now been 10 months since Debbie and I met and she has lost over 50 lbs, lowered her cholesterol to 148, her triglycerides to 137 and reduced her statin to 20 mg. Her next check up is in 2 months and she is hoping to get permission to ditch the statin! Beyond improving her numbers, Debbie is feeling fantastic! She has noticed her energy level has greatly improved and she is saving money on her grocery bills. She says the standard American diet “sure wasn’t cheaper because that stent cost $100,000.” She also noticed that “there is no vegetable that I’m paying $7.99/lb for!” She tells people that eating more fruits and veggies can be more expensive if you’re adding them to the already expensive meat and dairy, but once you ditch those expensive items, it all works out. She is excited she was able to give up dairy as she felt it was her enemy. She remembers going to her father’s home after he died and seeing the empty milk carton right next to his heartburn medication and recently realized her heartburn has completely gone! Debbie has become an advocate for the plant-based lifestyle and sets a great example of health and vitality for her family and friends. She is saddened when she hears people sharing how many stents they have with one another. She wants them to know that they can prevent risky, expensive procedures just by making some simple changes to their diets. If you’d like permission to go all in, improve your energy, and most importantly, stay out of the stent club, just do it! Then come back here and let us know how you did it and how you’re doing! Categories: Success story | Tags: dietandhealth, DrCaldwellEsselstyn, eatmoreplants, plant based, plantbasednutrition, plantbasedsupport | Permalink. Ain’t no party like a Scranton party! ‘Cause a Scranton party don’t stop! If you’re a fan of the show The Office, then you may remember this Michael Scott and Dwight Shrute version of a 90s rap song by Coolio. I am excited and proud to say that there ain’t no plant-based party like a Scranton party and this April there are plenty of plant-based events for all! Our plant-based extravaganza started with an article in The The Scranton Times April 3rd about my efforts to spread the word about the health benefits of plant-based eating and our local group, The Scranton Beets. It was humbling to be able to tell my story and I hope that it raises awareness in an area which has so many good folks with chronic illness that are preventable with lifestyle changes. Today when I got to work, someone in my department told me that a plant-based recipe won the recipe contest in the newspaper, Local Flavor: Recipes we love, and to check it out when I got home. I was thrilled to see that Nadia Naismith Dailey not only shared a delicious recipe for chickpea salad, but that she also talked about how her father adopted a plant-based diet for his heart disease which inspired her creativity in the kitchen. On the heels of all this wonderful press for plant-based eating, tomorrow evening, April 7th at The University of Scranton, there will be a screening of the life-changing documentary, Forks over Knives, sponsored by The Greenhouse Project at Nay Aug. Doors open at 6:30 p.m. and the movie starts at 7 p.m. There will be plant-based refreshments, too! The next event will be a come and go as you please event with displays about plant-based eating, including busting myths about plant-based diets, tips for families, tasty food samples and resources about how to get started. There will be experienced plant-based people available to answer questions from 11 a.m.-1 p.m. at The Abington Community Library, Saturday April 9th. On Sunday, April 10th and the 2nd Sunday of every month, P-BEG (Plant-Based Eating Group) holds a potluck meal at St Peter’s Episcopal Church, Tunkhannock, PA. This is a great no-judgement zone to try out plant-based eating, enjoy a delicious meal, and meet people who have improved their health through their food choices. Next is a double header! Two plant-based giants back to back in the Electric City! First is a visit by Dr. T. Colin Campbell, author of The China Study, on Wednesday April 19th sponsored by the Exercise Science Club at the University of Scranton. There will be a screening of the documentary, Plant Pure Nation, followed by a Q & A session with Dr. Campbell. The next day, just a few blocks away at The Commonwealth Medical College, Dr. Caldwell Esselstyn Jr will be giving two lectures about reversal of heart disease with plant-based nutrition. The 12:15 p.m. and 5:30 p.m. lectures are free and you can RSVP online. Not only will you be informed, educated and entertained by Dr. Esselstyn, but you will also meet his wife Ann, who will give a lively presentation about the How, Why, and Wow of Plant-based eating! The evening will end with a beautiful plant-based meal at The Colonnade. We had a preview of the food in March and the meal was not only delicious but the presentation was stellar! The last event for April is Empowered Eating, a group led by Kathy Reap at the Greenhouse Project at Nay Aug. The group meets on the fourth Tues of every month for support and education from 7-8:00 p.m. and is open to those who want to learn about plant-based eating, those who are seeking like-minded people to share ideas and recipes, and anyone who would like to taste some delectable dishes. So, if you live in or near The Electric City and you are plant curious, plant strong, or just want to learn how to add more healthy dishes to your repertoire, come visit us in April! Categories: Uncategorized | Tags: #Engine2diet, #nutrition #dietandhealth #DrCampbell #plantbasedsupport, #nutritionandhealth, #plantbaseddiet, dietandhealth, DrCaldwellEsselstyn, eatmoreplants, Forks over Knives, plantbasednutrition, plantstrong, whatveganseat | Permalink. Field trip, friends, and great food! Asian, and Mexican dishes and the wonderful spices and herbs that give them their fabulous flavor. Before we headed out on our field trip, we made a stop at the South Side Farmers Market. The indoor market is open during the winter and has a variety of vendors with cheese, eggs, hard cider, greenhouse fresh veggies, pickled beets and zucchini, fresh juice, and more. Our first market visit was to La Mexicanita on Cedar Ave in walking distance from the farmers market. We found baskets of dried Chiles, many dried spices, fresh herbs and veggies. They also had some baked goods and a variety of dried and canned beans and rice. The woman who helped us was friendly and this was a great start to our adventure. Next we visited Garcia’s Market on Pittston Ave in South Scranton and found many of the same products and I was intrigued by the Chicharrones de Harina that we saw in both of the Hispanic markets. They are wagon wheel shaped puffed wheat that is fried and then covered with lime juice and salsa and is a popular Mexican street food. I thought maybe they were tomato pasta because of the color, but the package listed red and yellow food coloring. I wonder if there is a healthy version of this snack. I love lime and salsa but try to avoid fried foods. Fried pork rinds also was available in large quantities. Our next stop was the Hill Section of Scranton and we visited P&P Oriental Groceries and Gifts. It was a tiny store but we found many varieties of rice, including red rice, dried mushrooms, Asian noodles, and a few fresh foods and chili sauces. One of our favorite stops was at Shiv Shakti market on Ash Street. They had huge bags of basmati rice which is my husband’s favorite and some unfamiliar fresh and frozen veggies we will have to try soon. We picked up some crunchy, spicy, roasted chickpeas for my husband. We found pickled turmeric and since turmeric is so great for you, we decided to try it, When we opened it at home we found it spicy, slightly sweet, sour and very tasty! We also found blocks of sugar cane at both the Mexican and Indian markets. In the Indian market, it was called kolhapri gur. Here’s a video of how the sugar cane is cooked in a small factory in India and placed into molds. While checking out at Shiv Shakti, my husband was talking to the owner about how we have been learning to make some Indian dishes and love the cuisine and he told us about a café they just opened 2 weeks ago called Shiv Shakti Chat House. Since it was lunchtime and we were only a couple of blocks away, we had to check it out! The owner of the chat house, Rita, couldn’t have been more helpful AND all of the menu items are vegetarian and only one had dairy! It was great to have more than one choice and we ordered two dishes which were unfamiliar, Sev Usad and Pav Bhaji with biryani. We also ordered Samosa chat, a house specialty. I misunderstood and thought the Samosa was baked and not fried but was mistaken. It was presented in a bowl with a wonderful spicy mix on top with chickpea and onions, tomatoes and spices. The food was fantastic and the spices were just right. Despite the sign out front that said “We serve delicious vegetarian fast food,” everything was homemade except the bread they served on the side. If you live locally, you will just have to visit for yourself to see how delicious the food is! There was nothing fancy or pretentious about the place, just good hot, spicy, flavorful food and you can watch Indian TV on a big screen from the loft where the guests sit. Our last stop on our tour was at Shivam Grocery Store on Capouse Ave. Again, we found large bags of all kinds of rice and some great sounding whole wheat multigrain flour. So, we found that while not all of the items in the ethnic markets were healthy, it was a lot of fun to browse and pick up some new finds. Many of the items were also cheaper than in the grocery store. I had a great afternoon planning a plant-based educational event with my friend Kathy, then received a surprise call from another friend about an upcoming visit from Dr. Caldwell Esselstyn Jr to Scranton in April for a free lecture and plant-based dinner. I also had another pleasant surprise while grocery shopping as I ran into another plant-based friend from our group, the Scranton Beets! It was getting late so I made an easy dish I call Puttanesca in a Pinch for our dinner. Categories: Uncategorized | Tags: #Engine2diet, #nutrition #dietandhealth #DrCampbell #plantbasedsupport, #nutritionandhealth, #plantbaseddiet, DrCaldwellEsselstyn, eatmoreplants, Forks over Knives, plantbasedsupport, plantstrong, whatveganseat | Permalink. Tsumamis of change–Dr. T. Colin Campbell coming to Scranton PA! I have been so busy with my day job, being a home health nurse and making evening visits on call that some of my plant based projects have had to simmer on the back burner for a bit. 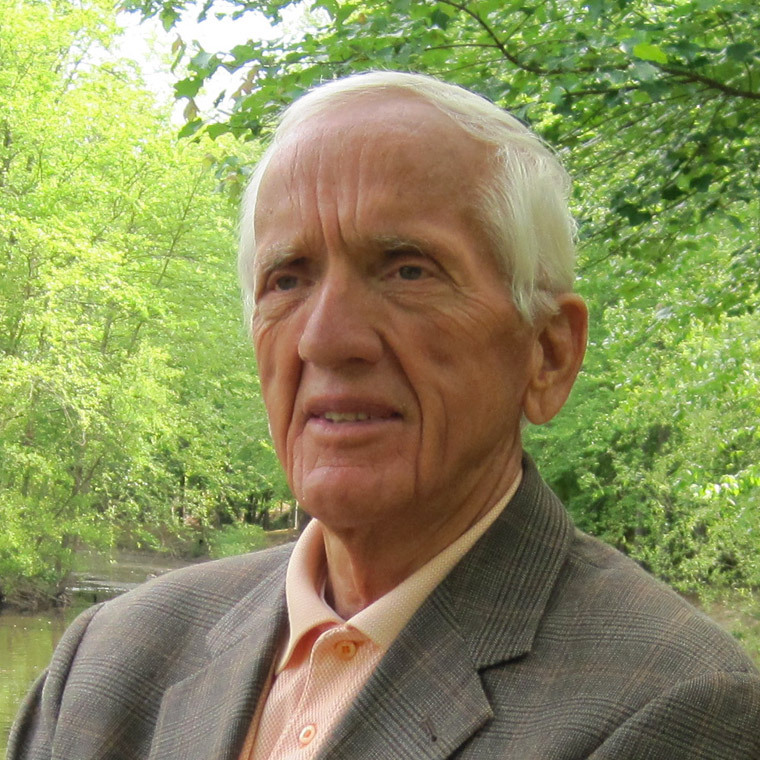 I needed something to get me reinvigorated and involved, so you cannot imagine my surprise and excitement when I opened my email this morning to find out that T. Colin Campbell, PhD, author of The China Study, is coming to Scranton, PA! He will be giving a lecture at the University of Scranton where I went back to school to earn my bachelor’s degree in Nursing. The Exercise Science Club is sponsoring the event and it is open to the public and free of charge. If you are in the Northeast and can make it to Scranton on November 11th at 7 p.m. please join us! The venue holds 500 and I would love to see it filled to the brim! All you have to do is call to RSVP to reserve a spot. Scranton is about a 2 hr drive from NYC and Philadephia and has a rich history as a booming coal mining center, a stop on the railroad and home to some beautiful architecture. I call this area the land of pizza and pierogies, and we have some wonderfully rich and not so healthy ethnic foods, a church on almost every corner along with a “beer garden” and a funeral home in close proximity. According to the Northeast Regional Cancer Institute, approximately 30,000 people are living with Cancer in Northeast PA. and 9.900 in our 10 county area are diagnosed with cancer each year. Considering our cancer rates in this area and across the U.S., there is no time like the present for a visit from Dr. Campbell. “For more than forty years, Dr. T. Colin Campbell has been at the forefront of nutrition research. His legacy, the China Project, is the most comprehensive study of health and nutrition ever conducted. Dr. Campbell is a professor Emeritus at Cornell University and is most well-known for co-authoring the bestselling book The China Study with his son, Thomas Campbell, MD. In addition to his long and outstanding career as an author, scientific researcher, and Cornell professor, Dr. Campbell has been featured in several documentary films. He is the founder of the T. Colin Campbell Center for Nutrition Studies and the online internationally-recognized Plant-Based Nutrition Certificate offered by the T. Colin Campbell Center for Nutrition Studies in partnership with eCornell. Dr. Campbell’s expertise and scientific interests encompass relationships between diet and diseases, particularly the causation of cancer. He has focused on nutritional status and long term health. Surprisingly, Campbell started his life on a dairy farm, but is now widely-known for researching links between animal-based protein diets and disease. He currently serves as the Chairman of the Board.”(http://nutritionstudies.org/about/board/dr-t-colin-campbell/). I have heard Dr. Campbell speak and his knowledge of nutrition is astounding and his passion for spreading the word about plant based nutrition and optimal health is contagious. 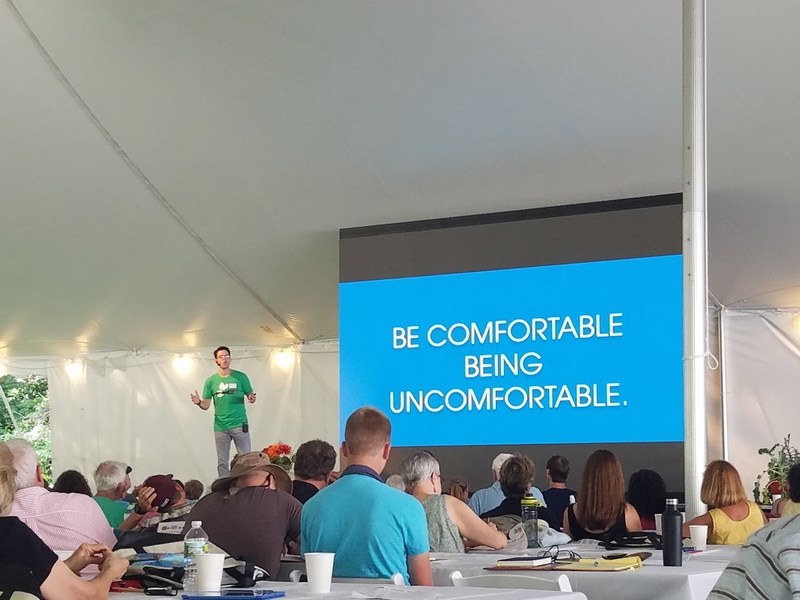 The last time I heard him speak this August at Plantstock there was an urgency in his voice, an urgency that we must stop this vicious cycle of poor diet, chronic illness and suffering and replace it with a story of health promoting plant based foods and health and wellness for our citizens. Categories: Uncategorized | Tags: #drjohnmcdougall, #Engine2diet, #nutritionandcancer, #nutritionandhealth, #plantbaseddiet, DrCaldwellEsselstyn, plantbased, tcolincampbell, vegan | Permalink. A Shout out to PBNSG and MANY thanks to Engine 2! Many months ago, I made a new friend through plant based eating and living, Paul Chatlin. We met online through one of his Plant Based Nutrition Support Group (PBNSG) members who found her way to my Engine 2 facebook group for my local Engine 2 friends. We have talked on the phone several times and since we “met” his group has grown to over a thousand members! Paul led a chat on Engine 2 Extra and if you haven’t read his story about how he reversed his heart disease with the help of Dr Esselstyn, you can read it here at: http://www.pbnsg.org/our-start/. I then realized that two of the 4-5 recipes they wanted could be ones I created for recipe challenges on Engine 2 extra, my Scrumptious squash with rosemary apples and Thai soup with kale, carrots and ginger. The other two are old standbys I make almost every week, chili and pasta sauce. SO, Thank you to Engine 2 and coaches Ami and Char for challenging us to be creative and use delicious, fresh, and simple ingredients to make good meals! 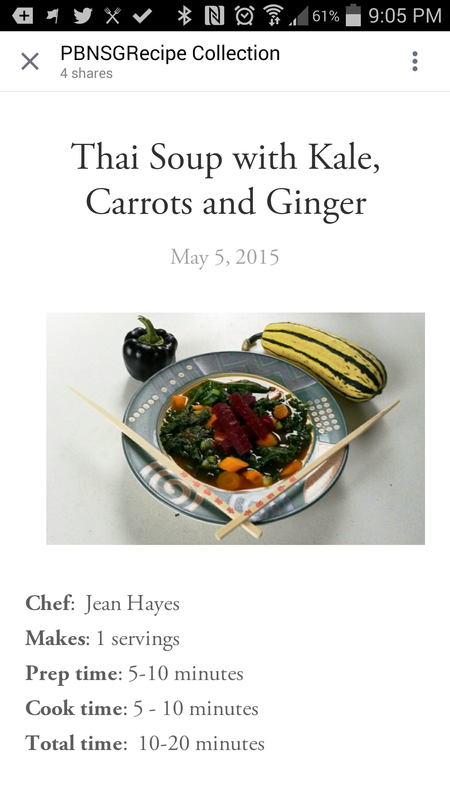 The link to my recipes is at: http://www.pbnsg.org/recipe-collection/?tag=Jean+Hayes. Check out all the site has to offer and challenge yourself to try something you never thought you could do! Categories: Uncategorized | Tags: #Engine2diet, #nutritionandhealth, DrCaldwellEsselstyn, Paul Chatlin, PBNSG, plant based, Plantbasednutritionsupportgroup, recipes, RipEsselstyn | Permalink.